Marriott International bought Starwood Hotels & Resorts Worldwide almost two years ago, but they're just getting around to integrating the two hotel chains' popular loyalty programs in August. Whether you're a loyal Marriott lodger, you're sitting on a mountain of Starwood Preferred Guest (SPG) points, or if you've dabbled in both programs over the years, you may be wondering how this change is going to affect you. Don't worry. The transition should work out fine for everyone. While it's true that the programs as you knew them will be gone forever, the good news is that the changes aren't terribly jolting for either Marriott or SPG members, and that members who have spent years building up their status won't have to start over. 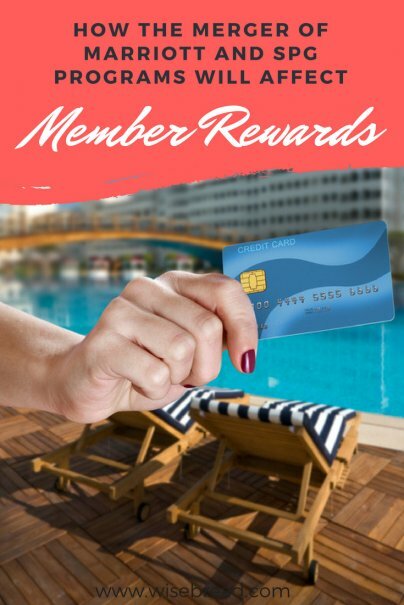 Members will earn 10 points for every dollar spent at all hotel brands except for three (Residence Inn, TownePlace Suites, and Element), where the earn rate will be five points per dollar. Elite members will earn more based on their status tier. That's the same as what current Marriott members get. SPG members currently earn two points per dollar. While it may seem like SPG members will quintuple their earnings under the new plan, in reality, they probably won't notice much difference in how long it takes to earn free stays. That's because rate adjustments will make the new points both earn and spend more like Marriott points. The new Free Night Award chart shows standard redemption rates for all hotels starting in August, with peak and off-peak rates coming in 2019. The new chart divides hotels into seven categories, with an eighth coming in 2019. The standard rate for the lowest tier will be 7,500 points per night, and the standard rate for the eighth tier will be 85,000. This compares to seven current SPG room categories with weekday prices ranging from 3,000 to 35,000 Starpoints, and nine current Marriott tiers ranging from 6,000 to 45,000 points per night. SPG points are worth three times as much as Marriott points. The Points Guy travel rewards blog pegs Marriott points at 0.9 cents and Starwood at 2.7 cents each. To account for this, SPG points will be tripled when you merge accounts, but Marriott point balances will stay the same. So if you had 10,000 Marriott points and 10,000 SPG points, your new account would have 40,000 points in it. If you currently have status such as Gold Preferred Guest with Starwood or Platinum Elite with Marriott, you don't have to wait until August to find out what your status will be in the new program. You can check your elite status here for SPG and your elite status here for Marriott. The new program has five elite tiers; Marriott currently has three and SPG has two. But the new tiers aren't an exact match to the old ones. This will mean a change in benefits for some frequent guests. For instance, previously, someone who stayed 25 nights with SPG would get a jump in status that would let them suddenly start earning 50 percent more Starpoints for every dollar spent at the hotel, allowing them to earn free nights that much faster. Marriott elite guests had a similar deal that allowed them to earn 20 percent more points per dollar spent. The new program will give the same guest a 25 percent boost. Some benefits won't change: 50 nights will get you into lounges, just as they did in SPG and Marriott Rewards. Lifetime elite status holders will also see slight changes. But most importantly to road warriors: Anyone with lifetime status under their original program will have it under the new program, even if it looks a little different. A popular way to use both Marriott and SPG points is to transfer them to airlines, and this flexible perk won't be going away with the new program. In fact, it will be slightly better, because members will be able to transfer to a few more airlines once the programs are combined. For instance, starting in August, former SPG members will be able to transfer points to JetBlue and Qantas airlines — which weren't available to them before. Former Marriott members will be able to transfer to Virgin Australia and Air New Zealand, among others — which they hadn't been able to before. In all, the program will have more than 40 airline transfer partners.